"Let us rejoice and be glad and give him glory "
At first glance, the puzzling imagery of Revelation can seem difficult to digest and outside the scope of our understanding. But the message of this prophetic book is one of victory and joy--God's triumph over evil and His faithfulness to those who trust in Him. 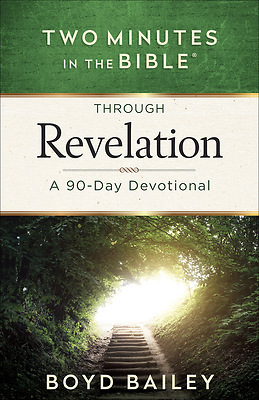 Celebrate His power and truth with this 90-day devotional through the book of Revelation. Each day's concise devotion and questions will add real-life context and inspire you to respond with joyful obedience. The messages of His abundant goodness and strength will encourage you to fearlessly share the gospel and obey His will. Revelation is a vessel of grace for your life, equipping you to embrace God's ultimate promise and celebrate His glory each day. You will find the strength to humbly persevere--filled with a spirit of praise and assurance.